Rosann is an experienced public health nurse and lactation consultant. 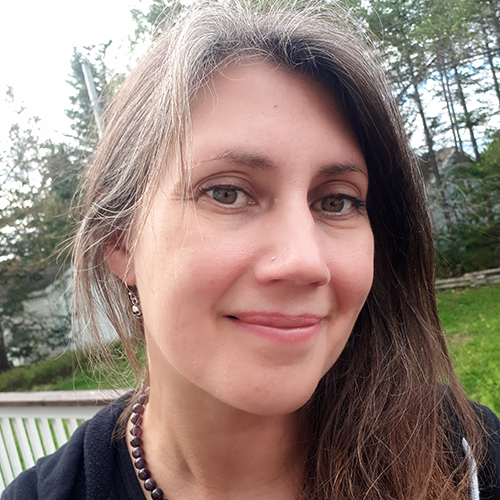 She is currently with Ottawa Public Health's Healthy Babies Healthy Children program and completing her doctoral studies in nursing at the University of Ottawa. Rosann became aware of the unique needs of young mothers involved in the shelter system through her role as the clinic nurse at the Bethany Hope Centre and while proving home visits to new mothers. Rosann is the mother to two boys, the youngest of whom promises to wean before he starts university. To explore the breastfeeding experiences of young at-risk breastfeeding mothers who either were or had resided in a local maternity shelter. Goals: To increase awareness of issues unique to this population, and develop clinical interventions when providing breastfeeding supports. Data Collection and Analysis: Interpretive description design, using semi-structured interviews, and inductive content analysis. Participants: Nine mothers aged 17 to 24, who had initiated any breastfeeding, and were residing or had resided at a maternity shelter. Findings: Nurses had a critical role in the establishment of early breastfeeding by providing a combination of practical hands-on and emotional support. Ongoing, accessible, and non-judgemental peer, family, and community resources were important to breastfeeding duration. These young mothers took ownership of their choice to breastfeed and found empowerment in this choice and practice. Conclusion: Young at-risk mothers need an ongoing combination of emotional and practical supports from multiple trusted sources, including professional and peer. Nurses need to focus the practical aspects of breastfeeding while establishing strong therapeutic relationships.